DONE DEAL. The brushes are going to a new home. I'm doing a bit of spring cleaning. 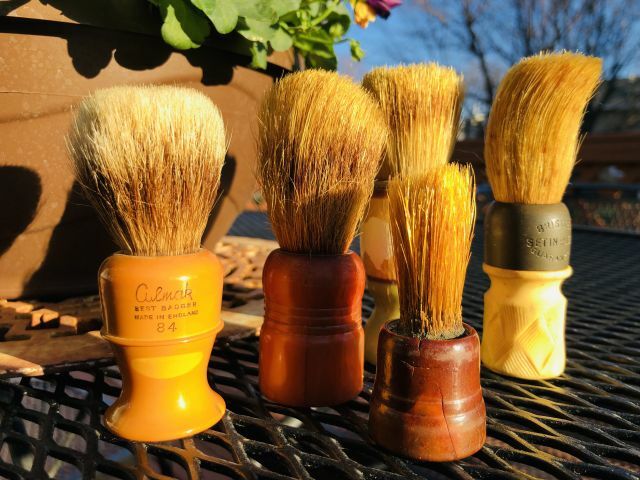 Here's a lot of vintage brushes. If you Paypal me $9 for the shipping, they're yours.